The general buzz is that the nation’s real estate market is slowing and statistics across the country back that up. Yet, at the same time, not all segments of the market are declining. In many cases where properties are priced realistically and in move-in condition, they sell; in some instances they even elicit multiple bids over the asking price. The key, as always, is to do your research, get your mortgage application approved so you can move fast if you do see a listing that appeals and try to be a bit flexible. Decide what’s most important and act. Here’s what we recently learned from six experienced Realtors® from different parts of the country. New York City, NY. Ian Katz, broker, Ian K. Katz Group. 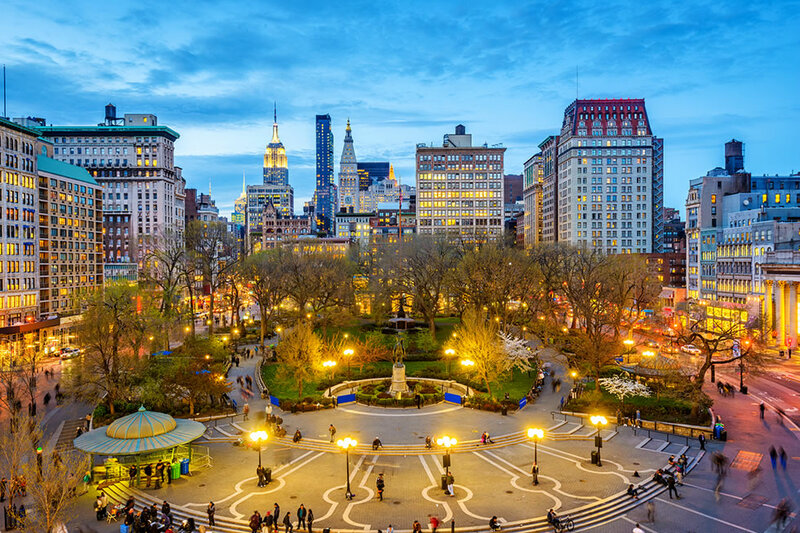 The market has slowed but a slowing market is a relative term in the New York metropolitan area. What sells is property-and-pricing-dependent. Certain neighborhoods are outperforming others; some have more inventory—as much as 15 percent above a year ago and a measurable number versus three to five years ago. And certain segments have more rapidly growing inventory, such as entry-level, two-bedroom and smaller apartments under $1.5 million. That market had been strong but has now slowed, too. What’s comparatively strong now is Brownstone Brooklyn. Larger 3-bedroom-plus homes close to Prospect Park, for example, are still doing very well and many see bidding wars. For example, more than 40 percent of homes in Park Slope continue to sell for above the asking price, evidencing a sellers’ micro-market. This strength extends to Fort Greene, Carroll Gardens and Boerum Hill. In Brooklyn’s new construction market, smaller one- and two-bedroom apartments in certain developing areas once considered fringe are emerging and looking positive for developers, such as in Bedford-Stuyvesant, Crown Heights, south Clinton Hill, Prospect Park South and farther out. Besides location, condition matters greatly and those apartments requiring a full renovation or gut in cooperative buildings don’t do as well unless they are priced aggressively to move. Buyers, especially younger buyers, are hesitant to take on a 12-plus-month project, which is what it can be when they must get plans and work approved before a building board. Larger estate-condition co-ops can take a longer time to sell, even if just slightly mis-priced. Many of my younger buyers prefer to look at one-to-three-family houses in Brooklyn, Harlem or Washington Heights where they have more control over their renovations and not as much invasiveness. Renovating owners in this market want to see a return on their investment. The bottom line is that there are buyers, but they are very price sensitive and need to see value. But it’s not the same situation that existed a decade ago. This has been a correction in pricing rather than a full-scale downturn. Early 2016 was basically the height of the market and prices have leveled off and dipped a bit since then. New York suburban sales as always depend greatly on a school district, but also first, the condition of the home—if it’s been updated – and second, where it’s located in the community and how far the community is from the city. Empty nesters are leaving, so much of new inventory is often somewhat functionally obsolete with layouts that don’t work as well for today’s buyers used to new finishes and open plans. As a result, many mid-century ranches, split-levels and sub-2,500-square-foot houses are being sold to developers/builders who tear them down where the town is amenable to change and new construction. The long-term price strength of area suburbs depends on how the housing product might evolve to meet younger city-dweller tastes. To be wooed out of the city, buyers need more than schools: closeness to train (more important than ever), modern finishes, and open plans. Tampa, Florida. Liz Menéndez, Sales Associate, CCIM,GRI, Coldwell Banker Residential Real Estate. The housing market in Tampa Bay is active with properties moving well in most price points and ranges. Buyers here are very well educated and looking for solid value. Listings are priced competitively to sell. This strategy makes for a “win- win” experience for both agent, seller and buyers. Most of the action is happening in properties priced between $150,000-$299,000. Housing stock in South Tampa remains low until you reach the $750,000-plus range. South Tampa near the downtown, especially the Seminole Heights area which spans three miles, is the hot spot with great restaurants and proximity to Tampa International Airport, downtown, the professional sports stadium/arena (Tampa Bay Buccaneers (NFL) and Tampa Bay Lightning (NHL), 20 minutes from the beach and close to the Armature Works, a restored mixed-use building in the Tampa Heights neighborhood. 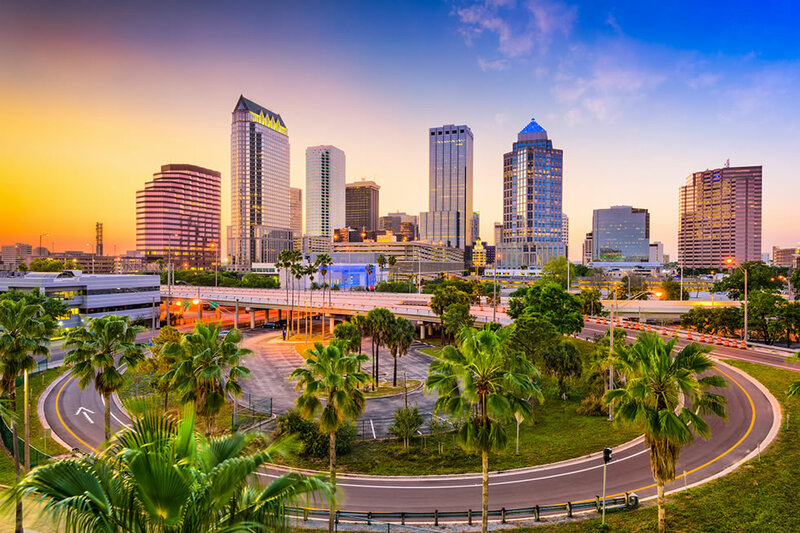 Another project which is sparking the resurgence of downtown housing is the investment by the owner of the Tampa Bay Lighting, Jeffrey Vinik who teamed up with Bill Gates to form Strategic Property Partners. They have been buying land and redoing a portion of downtown near the river and the bay where cruise ships come in. Good schools are always a priority. In South Tampa, people will purchase a property ($400,000 plus) tear it down and build just to be in a level “A” school district. There are also homes in South Tampa that are on the water priced at $5 million and above. The higher-priced homes take longer to sell. Homes in Seminole Heights, which are predominantly bungalows built in the 20s, sell fast. If something comes on the market and the condition is good, it goes under contract quickly if priced right, often with multiple offers. Recently, a home with two bedrooms and one bath, was on the market and priced well at $70,000. There were ten offers, all from investors who wanted to fix it up and turn it into a rental. It went into a bidding war and sold well over the asking price. This kind of property can be fixed up for $30,000 and then rented out for $1,300 to $1,500 a month to mostly millennials who want to live in this kitschy, artsy neighborhood. If something doesn’t sell, it means it’s not priced right, is in terrible condition, or in a bad location. In all price ranges, there are many expired listings and repositioned prices where the sellers adjust or lower their asking price. Overall in the Tampa Bay area, short sales and foreclosures have gone down. Even properties up against the Interstate are selling. Tons of new construction is happening in prime locations at good prices. New housing can be purchased in East Tampa starting from $250,000 plus for a three-bedroom, two bath home that is 20 to 30 minutes from downtown Tampa or the airport. Chicago, Illinois. Jennifer Ames Lazarre, Licensed partner and owner, Engel & Volkers. 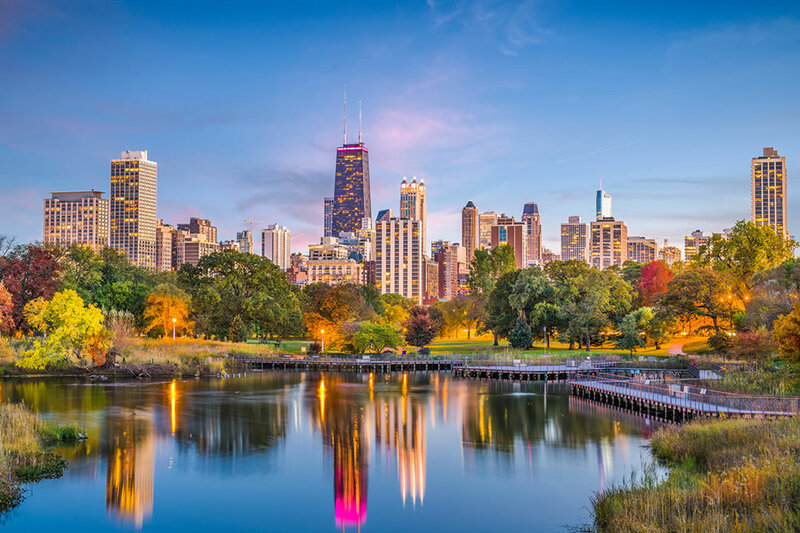 What’s hot in Chicago is a smaller-size home or apartment that’s done well and in good condition. People want to spend time in their worry-free homes, then be able to close the door and go on vacation. They don’t want to be dealing with renovation and maintenance. The condo market is stronger than the single-family home market currently, and many owners have multiple homes. So, they want to shrink their primary residence and have a more mobile lifestyle. And when they’re in their home they want it to be a great shared family space where everyone can be together but do their own thing rather than have a compartmentalized format of different rooms. Homes are also more oriented toward informal entertainment rather than formal living and dining and entertaining. They also reflect a good transition between inside and outside areas, even in Chicago where the weather can be very cold. The owners want accordion or Nanna walls and doors that open and fully engage with the outdoors. Many also want a one-level room or apartment without stairs. Younger buyers are very energy conscious and care about materials and how things are built and not living in their car so where the house or apartment is in relation to their home matters. They don’t want to waste their day commuting but like a short walk or drive to the office. It’s much harder to sell homes that aren’t walkable. There are still lots of buyers for older homes and apartments, but they need to be updated with new windows, new kitchens, new bathrooms, new floors. If the listing has a kitchen that’s 25 years old and hasn’t been updated that’s a big problem. It all goes back to how the buyers want to spend their time. People like the idea of having outdoor space but they don’t want to spend their time tending their yard. Most of my clients have landscapers but they don’t want properties with high maintenance needs. Our average sales price is about $1 million, but many go much higher. Denver, Colorado. Mark Trenka, Century 21 ERA. The market in Denver County is heating up right now because it’s the front end of spring sales. Housing inventory is better than it’s been in five years. No longer is it a seller’s market. Denver saw a shift last July and through the fall season to a more healthy and balanced market. February sales figures from the Denver Metro Association of Realtors shows a 5.6 percent increase in new listings. Median price shows a 1.23 percent decrease year over year. At the same time, the average sale price shows a .66 percent increase in home sales. With the median a bit lower and the average a bit higher, it indicates a healthy market. Small condos and single-family homes – anything priced from $300,000 to $500,000 – is the market sweet spot. This range is generally affordable to middle-class families and first-time home buyers. Previously, these properties would sell in a weekend. In December and January, average days on market for a single-family home in this price range increased to an average of 43 days. That has started to decrease to 41 days based on February, the most recent numbers. More expensively priced single-family homes tend to take up to 90 days to sell. 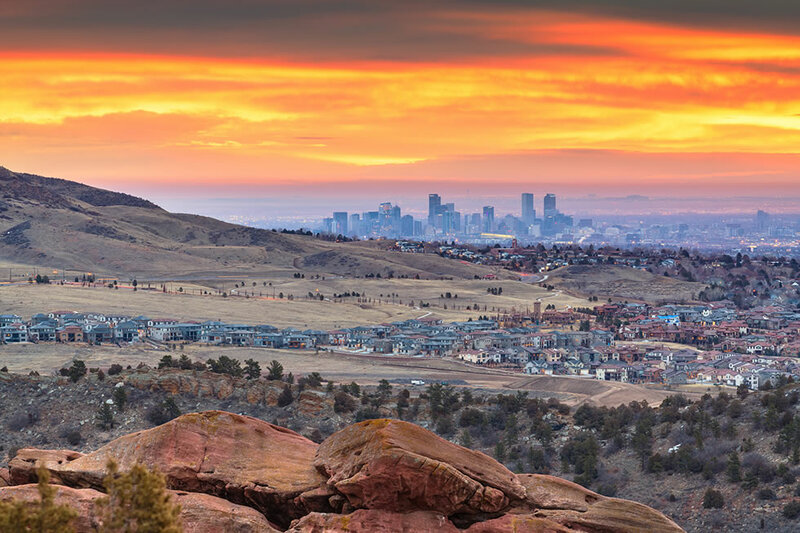 Another development in Denver County has been an increase of buyers from the West Coast, mostly California and Washington State. A 1,200-square-foot home on the West Coast can range from $800,000 to $900,000. Prices in Denver, whether in one of the urban or suburban areas close to the city center, are half that and less. Property taxes too are historically low in Colorado. That has a lot to do with tax limiting statutes in the state. These migration buyers are making a significant down payment, can fix properties up and are pleasantly surprised to discover what they can get for their money. Certain neighborhoods are stronger—based on price points and location in proximity to the city center, especially properties priced under $500,000. There is a lot of action going on in northwest areas that are transitioning such as Sloan’s Lake, Jefferson Park, LoHi, Sunnyside, Five Points and into City Park. Buyers are taking the older homes and fixing them up. Developers and investors are going in and buying these homes for the relatively inexpensive land, tearing down the homes and putting up new townhomes and duplexes. Thornton, Northglenn, and Brighton in the north Denver region are seeing a lot of activity as well. Homes in these neighborhoods are 1950s and 1960s brick ranch-style on big lots. Priced under $400,000, they are meeting the requirements of buyers, many in the 25-40 age range. Most of the move down buyers in the lower price ranges want ready-to-move-in with granite counters and open floor plans already done for them. Move up buyers want a home that’s ready to go but are more aware that most homes aren’t perfect. They are willing to settle if the bones and condition of the home are in good shape. It’s all about location. Denver’s suburbs are attracting millennials to such areas as Arvada, Broomfield, Lakewood, Aurora, Centennial. Although it seemed as if millennials might rent forever, they are realizing the value of home ownership. Many are looking for highly-rated school districts such as Cherry Creek and Douglas and Jefferson Counties. This is not a bargain market but a value market with homes in a range of prices from $400,000 to $600,000 for homes of 1,500 to 2,100 square feet for a three- or four-bedroom home. A lot of new construction is happening on the outer edge of central Denver. Builders are buying up lots and scraping. These new homes of 1,600 to 2,000 square feet and two to three bedrooms begin in the $600,000 to $800,000 range and is one of the reasons the north side has come on strong. More reasonably-priced new construction is happening on the east side, outside of the 470 Belt. Builders can find homes in the $300,000 to $400,000 range in these areas just off the central grid. With more housing stock under $500,000, slightly falling mortgage rates improving affordability, now is a good time to buy in the Denver market. Seattle, Washington. Eleanor Heyrich, broker, Realogics Sotheby’s International Realty. The Seattle market has incredibly diverse inventory with everything from high-rise living to homes near parks and good schools that are attractive to middle-income families, as well as luxury waterfront properties. The Seattle market has overall been very healthy. There was a slight pause in the fourth quarter of last year after years of some of the fastest rising appreciation in the country. During the latter part of 2018, there was a sudden increase in inventory and rising interest rates coupled with concerns about local and national politics, so buyers took a pause. But in January, buyers came off the benches in droves, and we have seen the usual buyer frenzy with multiple offers for properties that are properly prepared for the market and prices that are realistic. Depending on the price point, it isn’t unusual for the winning bid on a desirable home to be 8 to 10 percent over the list price, particularly for homes under $1.2 million. Property condition remains key to successful sales because our buyers are more likely to have money than they are to have skill and time to renovate- so sellers should be advised to go ahead and do the updates and refreshes rather than thinking buyers will want to do that themselves. Location and views of mountains or water continue to carry the greatest premium for Seattle buyers, more so than the age of the property or the square footage. Proximity to the downtown hub is a major consideration for all our demographics because everyone wants to be able to walk everywhere. This is particularly true at the top and bottom of the age groups: our millennials and our baby boomers are often competing for the same inventory. The most difficult homes to sell right now the ones that have the greatest amount of square footage. 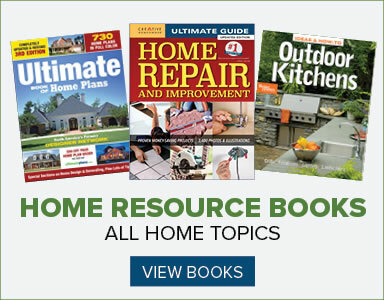 We really don’t have any segment of our population that is craving large homes because they’re perceived as requiring high costs in maintenance, landscaping and utilities. Even people who can afford staff to properly take care of larger homes don’t want the hassle of managing that staff. Most buyers would rather give up privacy and lots of space in favor of convenience and fewer hassles. Sadly, our sellers who own these large homes are shocked and dismayed that their homes just aren’t popular with buyers and therefore take more time to sell and are less valuable than they hoped. 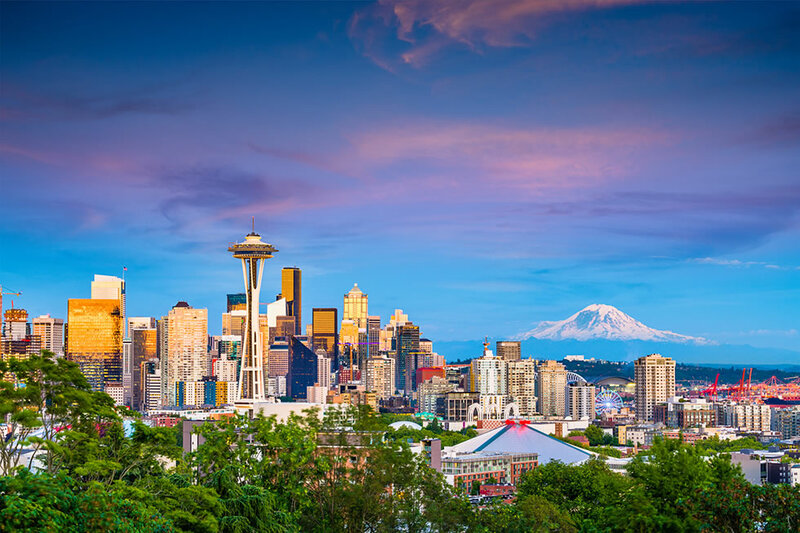 We expect the market to remain strong here in Seattle since we frankly have no land left for expansion and yet continue to add high-paying jobs that attract new home buyers to the area. Newport Beach, California. Ed Machoskie, real estate sales rep, Compass/ Southwest (CA). What clients are looking for is a refurbished, updated house with a white on white kitchen with high-end, name-brand appliances such as SubZero, Wolf and farmhouse Shaw sinks, marble countertops, wide plank floors, oversized showers with multiple showerheads and steam, stand-alone tubs, a wine refrigerator or cellar with temperature controls and a few hundred bottles. People are very brand and label conscious here. They also want to be near quality schools and like living in gated communities with amenities with pools, maybe a putting green and clubhouse with a gym. They’re willing to pay a premium for such extras. Overall, we are seeing the number of days on market expand and seeing more price reductions. 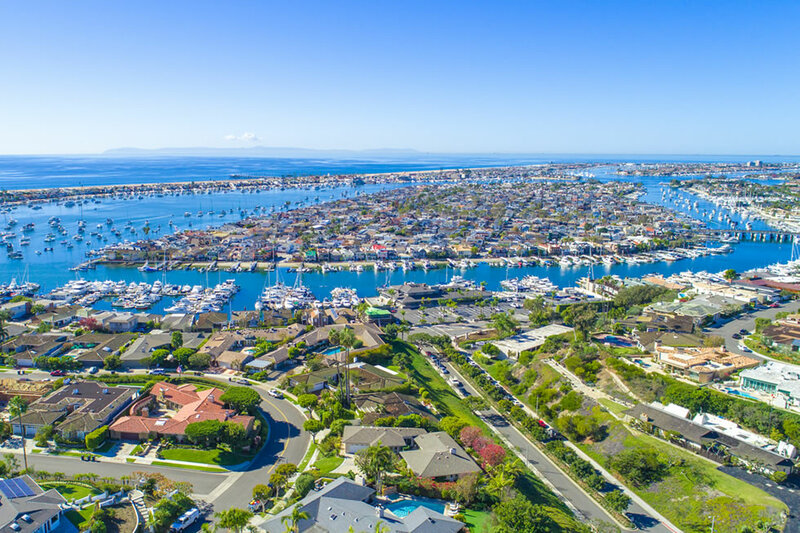 This isn’t limited to our area but throughout Orange County, and we think 2019 will be a year of opportunities for buyers and sellers with realistic sales expectations. Rates also make a difference. But overall, we have a more balanced inventory of homes staying on the market about 172 days on average, which is up from 134 days last spring. People will pay more for a well-maintained pool, built-in barbecue, fire feature and retractable doors to the outside. We’re not seeing an overwhelming trend of downsizing…yet. We also don’t see as much demand for condos when compared with other geographic areas. Good condition matters more than the age of a listing. Out is big Tuscan-style architecture, stone and beige colors. Soft contemporary design is well received as is an Eastern seaboard shingle look in white or gray with darker accents, think Cape Cod. That being said, Southern California is very quick to adopt new styles and current design trends.